We here at the Clog consider ourselves optimists, glass-half-full-type humans. So, we looked on the bright side (maybe the wrong choice of words … cloudy side?) 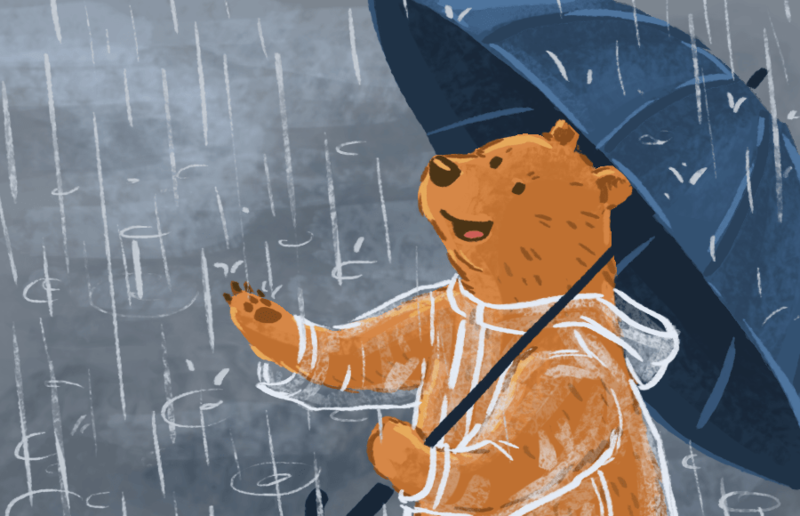 to see all of the positive things we could find about life in the rain! One of the most profoundly isolating human experiences is to finish a movie in the theater and, looking to your left and then to your right, discover that you are the only person not wiping their eyes and sniffling. “Midnight Sun” is a love story with a twist of hope. The director and actors alike can’t wait for audience members to have a few lighthearted laughs.